“Failing fast” is a common buzzphrase among development practitioners interested in adaptive learning. The concept is two-fold: it’s about acknowledging the need for a new approach and doing it quickly so it’s possible to course correct. As adaptive learning begins to take hold in practice, is the development community in a place to welcome and affirm real-time transparency yet, or are the incentives still aligned to favor those who stay the course and preserve their reputations? 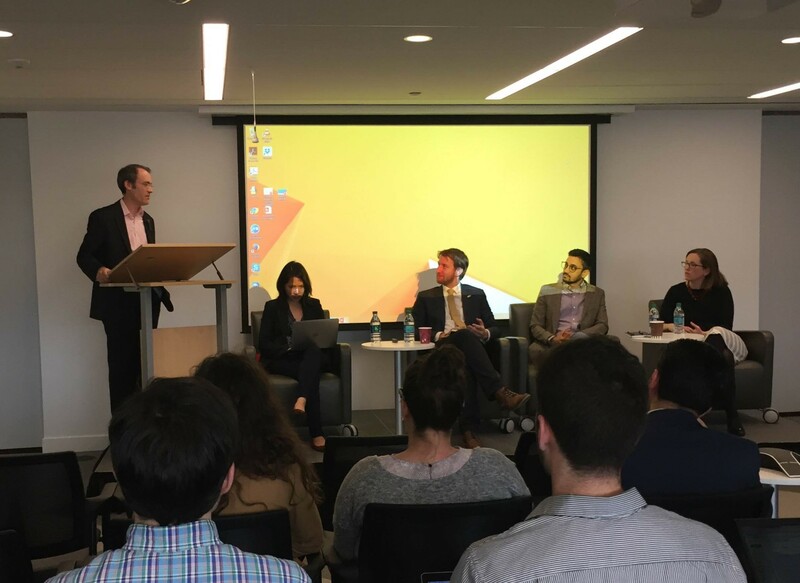 Failing fast is just one component of adaptive learning that was discussed during a recent panel discussion hosted by the Results for Development Institute (R4D). The event, “Adaptive Learning: A new paradigm or just another fad?” was an opportunity to pause and reflect on the current and future state of adaptive learning. Throughout the conversation it became clear that as adaptive learning for development continues to evolve, gaps between theory and practice remain. Knowledge Gap #1: How should development organizations go about institutionalizing and incentivizing learning? For adaptive learning to truly take hold within a development organization, we know that several conditions need to be met: management needs to buy into and enforce learning objectives, learning must take place throughout the organization, staff need to be trained as adaptive learners, and the organization’s overall culture needs to be conducive to learning (more on this point in Knowledge Gap #3). But building a learning organization means adopting a new approach to development work, and change management is never easy. When asked what methodologies or tools can be used to standardize learning, panelist Lily Tsai suggested that organizations hire Learning Specialists and have them report directly to the CEO to ensure that learning is prioritized and enforced. Panelist Zack Brisson, Co-Founder and Principal at Reboot, disagreed saying that leadership for adaptive learning must be dispersed throughout the organization rather than infused via a top-down approach, which might make learning just another box to be checked. Organizations also need to discover the balance between investing in learning versus the development programs themselves, especially in the early stages of institutionalizing adaptive learning. USAID Learning Lab has several resources on what it takes to build a learning organization. Knowledge Gap #2: How should learning inform the questions we ask, and what do we do with what we learn? Brisson pointed out that the public sector doesn't spend nearly as much money on R&D as the private sector. But when we do invest in monitoring, evaluation, research, and learning, how do we make the most of it? Neil Buddy Shah, CEO and Founder of IDinsight, argued that the development community needs to recalibrate the balance between building a global evidence base and local solution-finding systems. Since context is so fundamental to the success of development initiatives, we need to stop searching for silver bullets and use real-time feedback loops and embedded teams to discover what works in local contexts. According to Shah, randomized controlled trials only go so far and should reflect the actual problem to be solved and decision to be made versus an independent agenda. There may be other types of evaluation methodologies that are better suited to the purposes of adaptive learning and the time and budget constraints that international development actors face. Concerning the gap between research and practice, Tsai explained that the MIT Governance Lab was established in part to bridge academic study and real-time implementation. The Lab achieves adaptive learning through iterative project design in collaboration with development practitioners. Knowledge Gap #3: How do we create an environment that is more conducive to experimentation and learning? This seems to be the deepest knowledge gap: how do we build a development ecosystem that is more conducive to experimentation and learning? Does the threat of losing funding still prevent practitioners from admitting when they need to change course? And do funding mechanisms make it possible to change course when necessary? How can we create space for change and safety for development practitioners to speak up when their plans aren’t yielding anticipated results? The practice of adaptive learning is evolving to include communities of learning and learning action networks that allow practitioners to share ideas and learning with a broader audience. But what happens when development practitioners don’t have the flexibility to act on learning? This sounds like a chicken or egg scenario: which comes first, a learning environment or learning practitioners? Interested in continuing the conversation on Adaptive Learning? Join @USAIDLearning, @R4D, and panelists @IDinsight, @MITGovLab, and @Reboot for a follow-up Twitter chat on Tuesday, May 17th from 2-3PM. To participate, follow @R4D and @USAIDLearning on Twitter and check the official hashtag: #Adapt4Dev.